Paying us a visit? Download maps, get directions and find travel information for all four campuses. 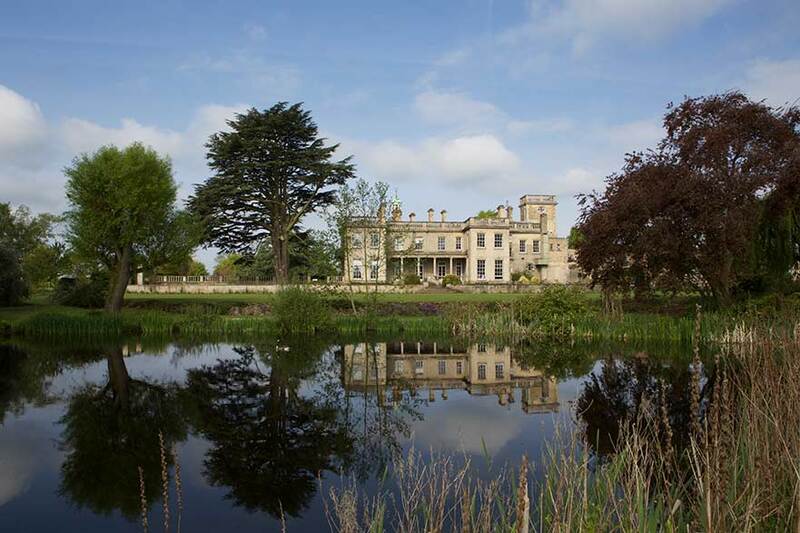 Brackenhurst is about 14 miles north of Nottingham’s city centre. Parking is available in the Bramley car park. Exit the M1 at junction 28 and head towards Mansfield along the A38. Turn right to follow the A617 towards Newark then turn right again onto the A612 towards Southwell. Pass the Minster on your left and turn left at the mini roundabout; keeping the Minster on your left. Then take the A612 on the left. Brackenhurst is located around a mile from here on the left. Exit the M1 at junction 24 and follow the A453 Nottingham South, past the University’s Clifton Campus. Follow the A52 Nottingham ring road onto the A6011 then turn right onto the A612 for approximately ten miles. Brackenhurst Campus is on the right-hand side of the road. Follow the A52 Nottingham Ring Road onto the A6011 then turn right onto the A612 for approximately ten miles. Brackenhurst is located on the righthand side of the road. Head along either the A1, A46 or A17 to Newark, then the A617 towards Mansfield, before turning onto the A612 to Southwell. Pass the Minster and turn left at the mini roundabout; keeping the Minster on your left. After a short while turn left, following the A612. Brackenhurst is around a mile from here, on the left. Nottingham train station is close to the city centre and is connected to Nottingham's bus and tram networks. You can find timetable information and ticket prices on the National Rail website. If you book a few weeks in advance you may find cheaper tickets through East Midlands Trains, The Trainline, Virgin Trains or Northern Rail. A taxi from the station will cost around £30, and there is a taxi rank right outside the station entrance. Alternatively, you can make your way to King Street (just off the Market Square) which is a 15 minute walk or short tram ride from the station. From there, take the number 100 bus to Brackenhurst Campus. This will take around 45 minutes and costs £7 for a return ticket. Buses run every 30 minutes with the last service leaving Nottingham around 23:00 Monday – Saturday. See the 100 bus timetable for more information. Nottingham's Broadmarsh bus station is currently closed for redevelopment and services have been relocated. National Express services are now arriving and departing from Station Street, outside Nottingham train station. Alternatively, you can make your way to King Street (just off the Old Market Square). This is a 15 minute walk, or you can take a short tram ride from the station which costs £3.50 for a return ticket. From King Street, take the number 100 bus to Brackenhurst Campus. This will take around 45 minutes and costs £7 for a return ticket. Buses run every 20-30 minutes with the last service leaving Nottingham around 23:00 Monday – Saturday. See the 100 bus timetable for more information. East Midlands Airport is approximately 15 miles from Nottingham city centre, and it takes about 30 minutes to travel into the city by car or bus. The airport is served by the Skylink bus service that runs up to every 20 minutes during the day and hourly at night, 24 hours a day, seven days a week. The Skylink bus stops in Nottingham city centre, just a short walk away from our City Campus. Tickets cost £5 for a single or £8 for a return. Alternatively, a taxi from East Midlands Airport to the city centre will cost around £25. Other airports that you can fly into include Heathrow, Birmingham, Manchester, Gatwick, Luton and Stansted. If you fly into any of these you will need to plan your journey from those cities to Nottingham. If you are using a sat nav to find us, the campus postcode is NG1 4FQ. Leaving at Junction 24, follow the A453 / Remembrance Way. The University will be signposted. If you’re visiting our City Campus, just remember to continue beyond NTU’s Clifton Campus. Leaving at Junction 25, follow the A52 / Brian Clough Way. Leaving at Junction 26, follow the A610. If you are travelling from the east we suggest you follow the A52 to Nottingham and take the park and ride from Nottingham Racecourse. The bus will drop you off on Lower Parliament Street, which is just a short walk from NTU. Buses run every 15 minutes. Sat nav postcode: NG11 8BF. Sat nav postcode: NG9 7JA. Sat nav postcode NG8 6AS. The tram costs £3.50 for an adult day ticket. You can buy your ticket from the machines at the tram stop. Change is given, and parking is free. The tram runs every 10-15 minutes and the NTU stop on Goldsmith Street is in the middle of the City Campus. Nottingham train station is close to the city centre and is connected to Nottingham's bus and tram networks. You can find timetable information and ticket prices through the National Rail website. If you book a few weeks in advance you may find cheaper tickets through East Midlands Trains The Trainline Virgin Trains or Northern Rail. 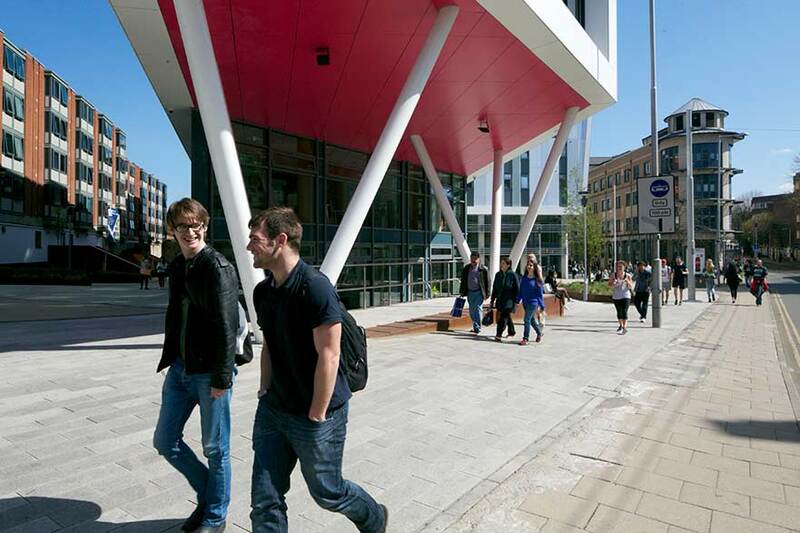 NTU's City Campus is just a fifteen minute walk from Nottingham train station. Alternatively, you can take a northbound tram from the train station. You can buy return tickets for £3.50 from the machines at the tram stop. Change is given. NTU has its very own stop for the City Campus located on Goldsmith Street. 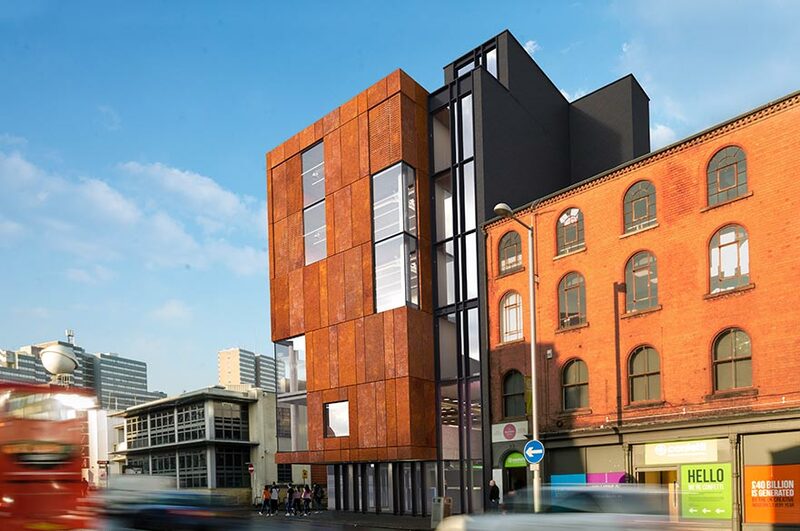 From Station Street NTU's City Campus is less than a 15 minute walk away. From the entrance of the train station, turn right and walk towards the Broadmarsh shopping centre. Walk through the Broadmarsh shopping centre and take the ground floor exit by Boots. Continue to walk up Lister Gate and then Wheeler Gate until you reach the Market Square. Cross over the square and walk up Market Street where you will see the Theatre Royal. Behind the theatre, you will find the concert hall and the University's Newton building. 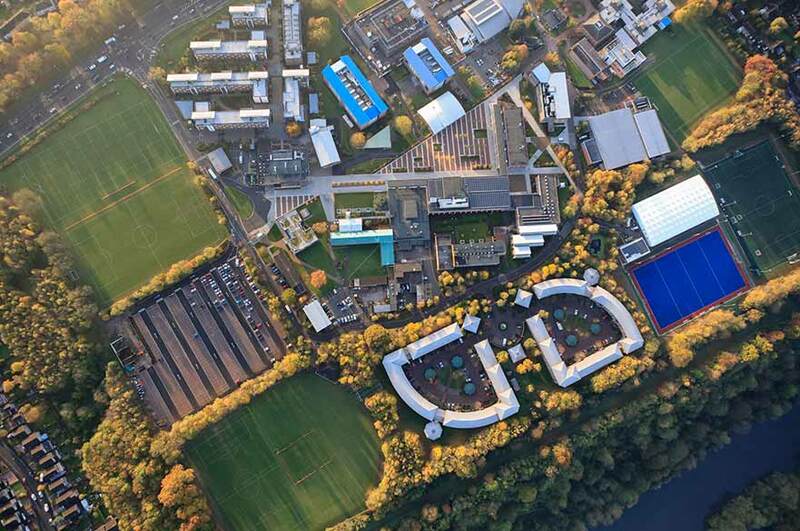 If you are using a sat nav to find us, the campus postcode is NG11 8NS. Clifton is about five miles from Nottingham city centre. The closest motorway junction is junction 24 on the M1. From junction 24 follow the A453 for seven miles to the Clifton Campus. If you are travelling from the east follow the A52 and signs to Nottingham, then join the A453, signposted ‘M1 South’. The Clifton entrance will be on your right hand side. Alternatively you can catch the Go2 Uni 4 bus from just outside the station. This bus runs from every seven minutes at peak lecture times, and until midnight Monday - Saturday. There is also a nightbus on the route connecting the railway station to Clifton Campus until 03:15, six days a week. Tickets cost £2.20 for a single trip or £4 for a day pass. Discounted student passes are also available from the Nottingham City Transport website. East Midlands Airport is approximately 15 miles from Nottingham city centre. It takes about half an hour to travel into the city from the airport by car or bus. The airport is served by the Skylink bus service that runs up to every 20 minutes during the day and hourly at night, 24 hours a day, seven days a week. The Skylink bus stops in Nottingham city centre, just a short walk away from our City Campus. Tickets cost £5 for a single or £8 for a return. Alternatively, a taxi from East Midlands Airport to the city centre will cost around £25. Other airports that you can fly into include Heathrow, Birmingham, Manchester, Gatwick, Luton and Stansted. If you fly into any of these you will need to plan your journey from those cities to Nottingham by train, by coach or by car. Curzon Street (NG3 1DG. Approximately a four-minute walk). NCP Huntingdon Street (NG1 1AS. Approximately a five-minute walk). Nottingham Arena Car Park (NG1 1EH. Approximately a four-minute walk). Nottingham train station is around 15 minutes away from the campus, on foot.